Nice and tall hope the others harvest soon. 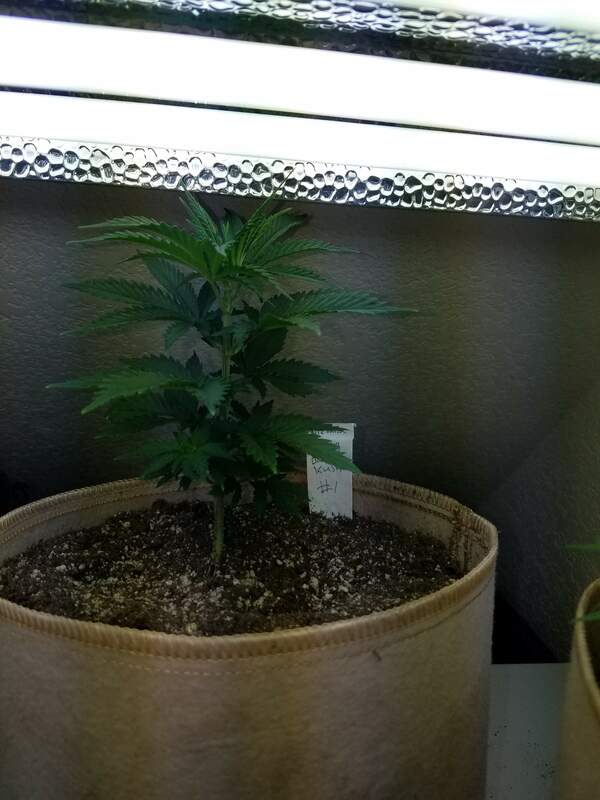 The babies are growing up all four were transplanted to 2gal smart pots. #4 did not respond great some of the leaves were a bit crunchy so they were pruned. #2 is already showing hairs :). These are just waiting for my other plants to finish and will be moved into the tent.